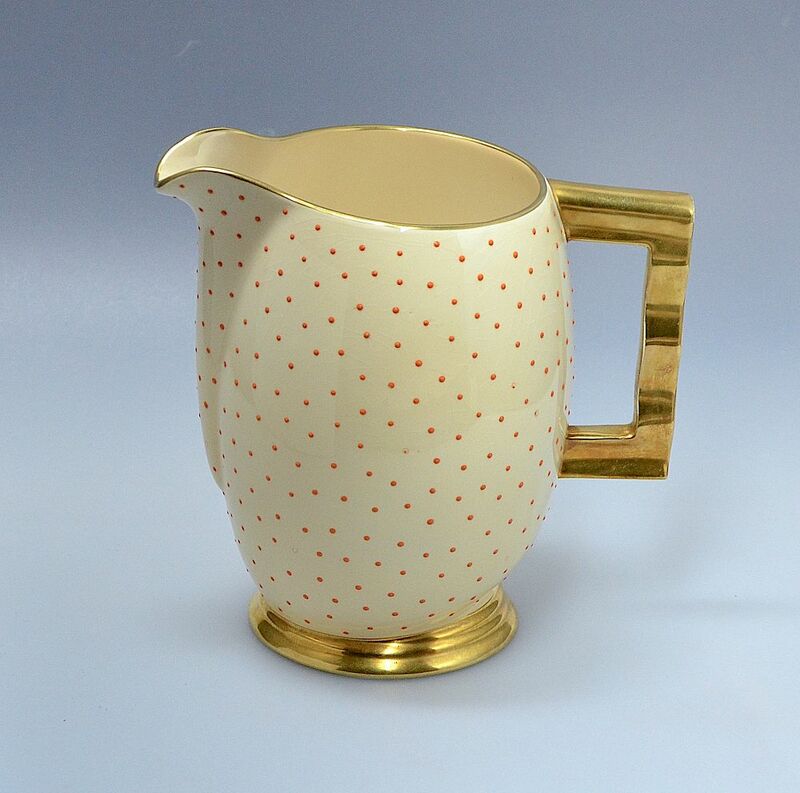 This large cream lustreware jug was made by Carlton Ware in the 1930s. 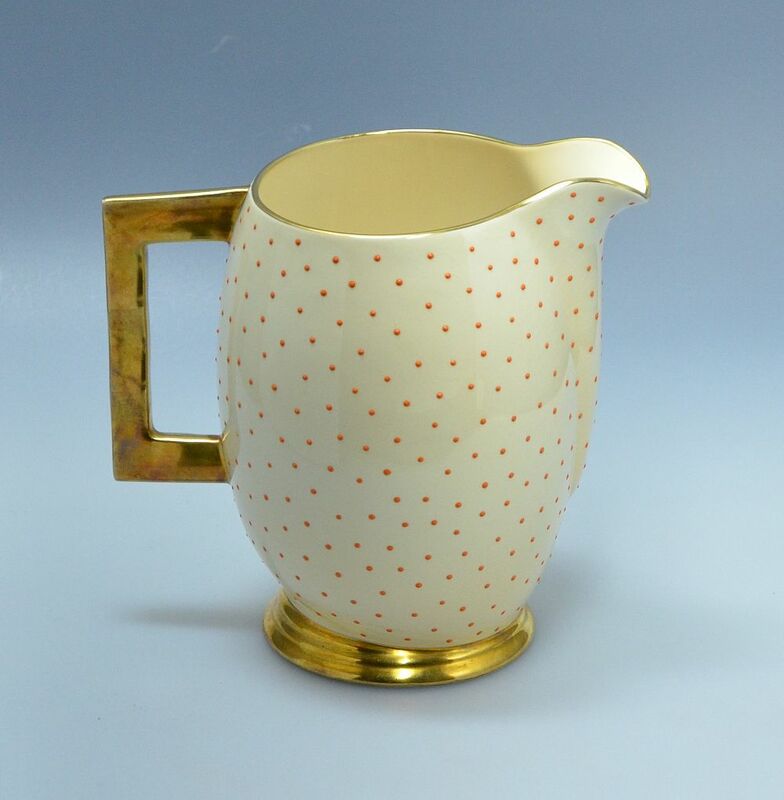 It has a polka dot pattern of small round domed orange enamel "jewels" raised up from the surface of the jug. The tiered base is gilded as is the rim and the "Moderne" style handle. 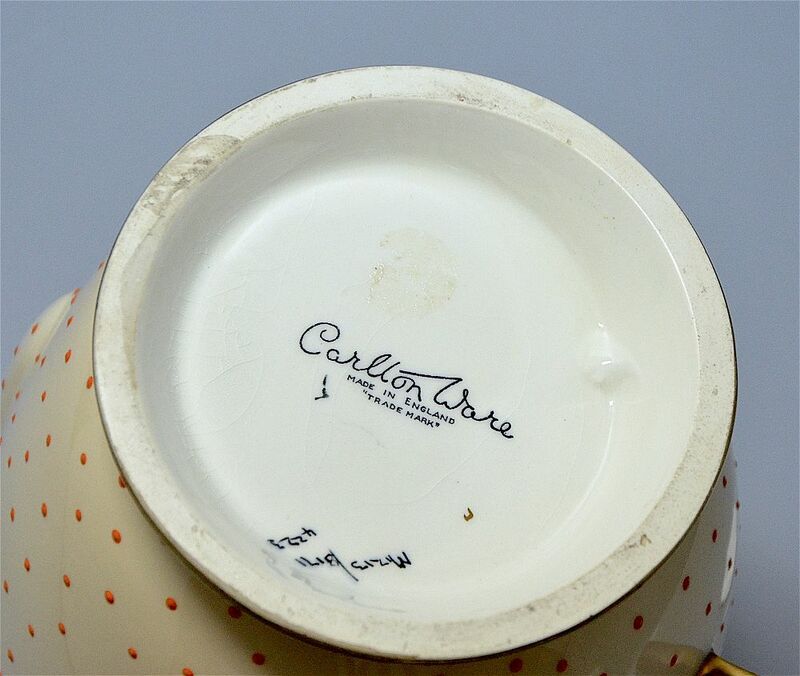 The base is signed "Carlton Ware Made in England Trade Mark" with hand painted petters and numbers "M17-13/3171 4223" to the side. I still have a soft spot for Carlton Ware and I have always loved these jugs because of their tactile shape and the wonderful handle.